A few years ago I wrote a story about Chardonnay and consumers perception of it. It's a wine that while very popular, is also held in disdain by many consumers. Napa Cabernet Sauvignon is another such wine. Not that there is just one Napa Cabernet, there are lots of stylistic differences but as the signature wine of Napa Valley, it’s one worth getting to know. Whether you collect Napa Cabernets or avoid them, I recommend you consider a special educational program at Sequoia Grove Winery called A Taste for Cabernet. Boutique winery Sequoia Grove makes mostly Cabernet Sauvignon, it’s about 3/4 of their total production. They have some of their own vineyards but also work with quite a number of growers in the area. At the tasting, which is set in a private space away from the crowds in the tasting room, you get a chance to try four of the their top Cabernet’s and a Bordeaux blend. The wines come from different parcels with different growers, are different vintages and the session is led by the very knowledgable and friendly wine educator Dean Busquaert, who shares soil samples and his exquisite photography to really give you a feel for the terroir. The wines I tried were Lamoreaux Vineyard 2008 Cab, Stagecoach Vineyard 2008 Cab, Henry Brothers Vineyard 2011 Cab, Morisoli Vineyard 2008 Cab and the Cambium 2008 Bordeaux blend. They range in price from $90 to $145. Needless to say these are not the wines you will get to try at the average tasting or visit. 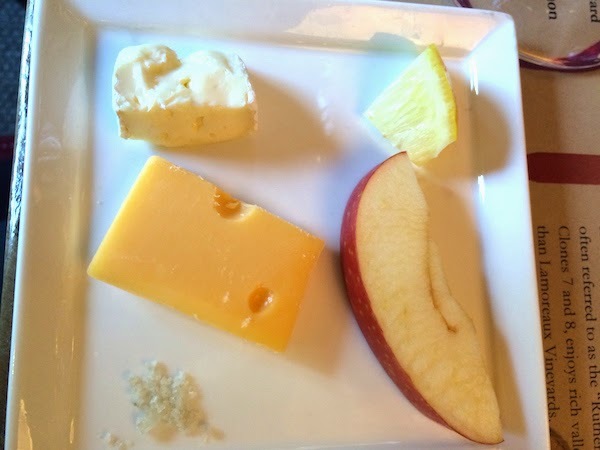 The best part of the program for me was the tasting experiments done with a plate of different nibbles including two kinds of cheese and an apple wedge. The guided tasting helped to dispel some myths when it comes to wine and food pairing. I'm not going to tell you what I thought of the wines, because the experience is really about discovering what YOU like and there is plenty of variety. The tasting lasts almost an hour and half and costs $50 which is a bargain when you consider the wines you get to try. The fee is waived for wine club members or with the purchase of 6 bottles of wine (there are many much less expensive bottles to choose from). Sequoia Grove Winery is indeed set in a grove of beautiful trees. 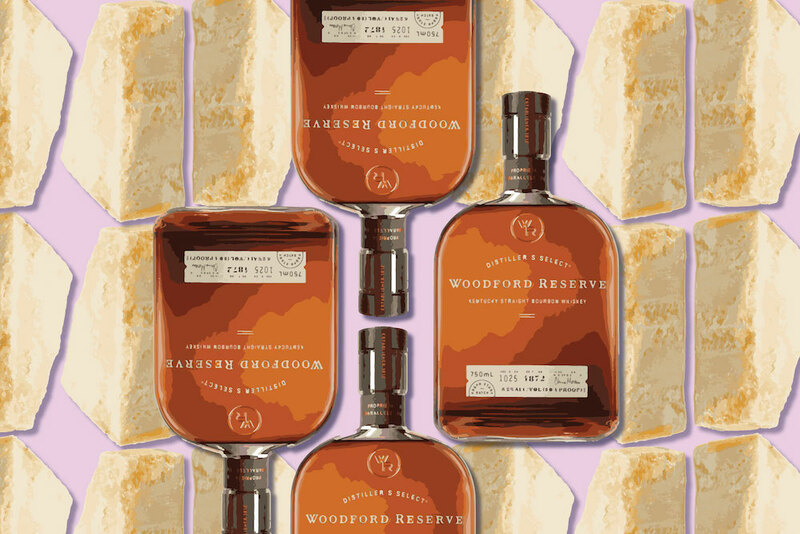 More details about tasting options are available at Visit Us. Disclaimer: I was a guest of Sequoia Grove Winery for this experience. I was not compensated monetarily to write this or any other post on Cooking with Amy.